Thriving in today's challenging and competitive bariatric market requires that bariatric programs have an effective internet strategy. A key component of a successful internet strategy is a robust, informative, interactive and engaging website. 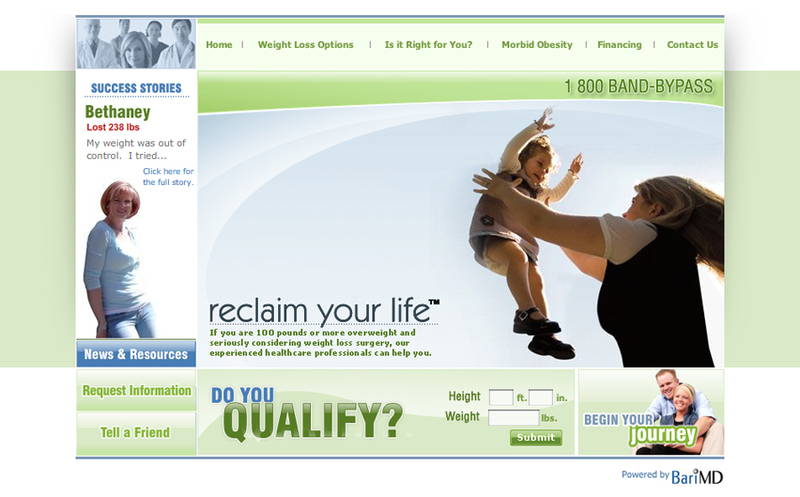 In many cases, the website is the one and only chance for a bariatric program to engage and acquire prospective patients. 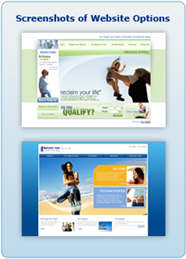 It is imperative that program websites capture the attention of these patients by incorporating an engaging design/layout, thorough obesity and weight loss surgery information, intuitive navigation, patient interactivity, as well as strong program image and branding. 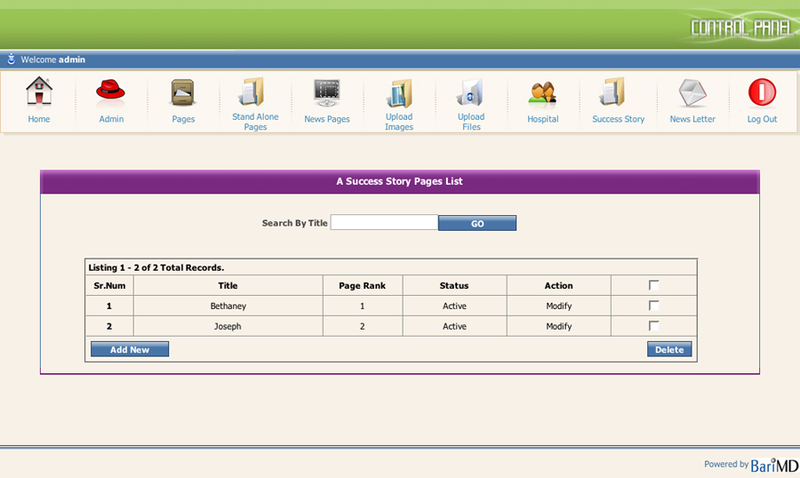 In order to meet patient demands and efficiencies, database driven websites are a must. 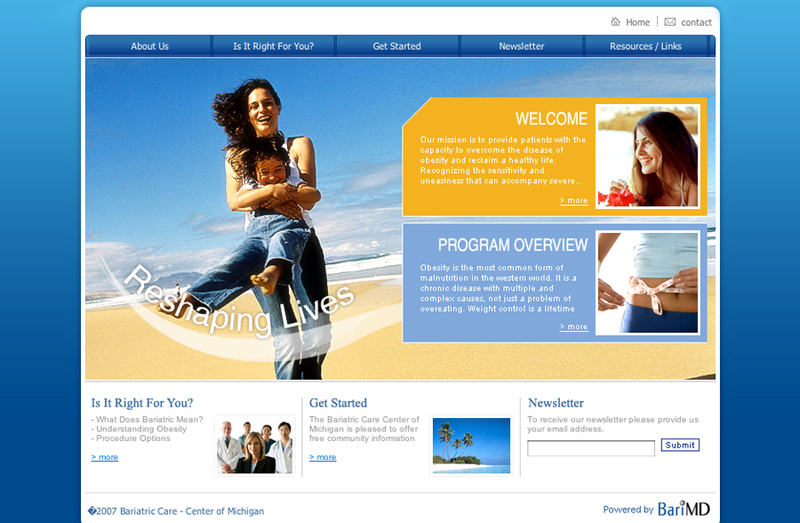 Database driven websites give bariatric programs the ability to easily administrate page and content changes as well as create forms to collect pertinent patient information directly from the website. Most standard websites do not offer this level of flexibility and functionality. 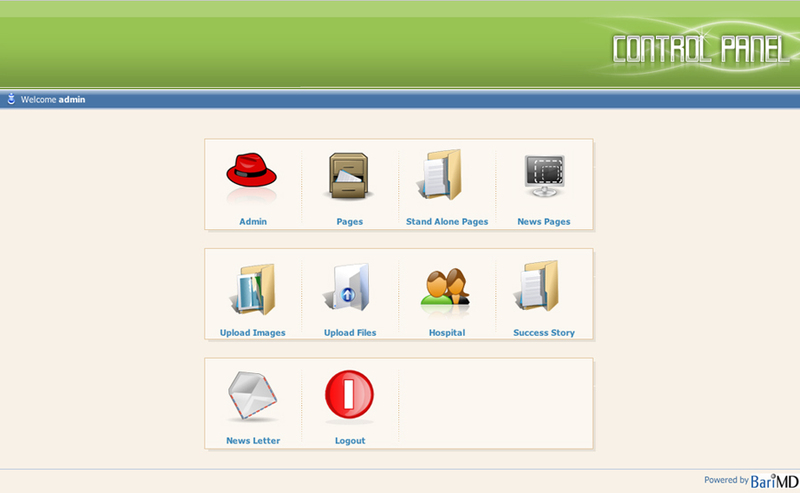 With a database driven website, the program's staff members (not a remote and expensive web developer) are in control of modifying the website. Even though many bariatric programs desire this type of website, it is typically cost prohibitive and programs therefore settle for alternatives which have limited number of pages, basic graphical design, no patient interactivity and requires developers to modify. BariMD has the solution. Our team develops websites which can be customized to compliment your program's branding. 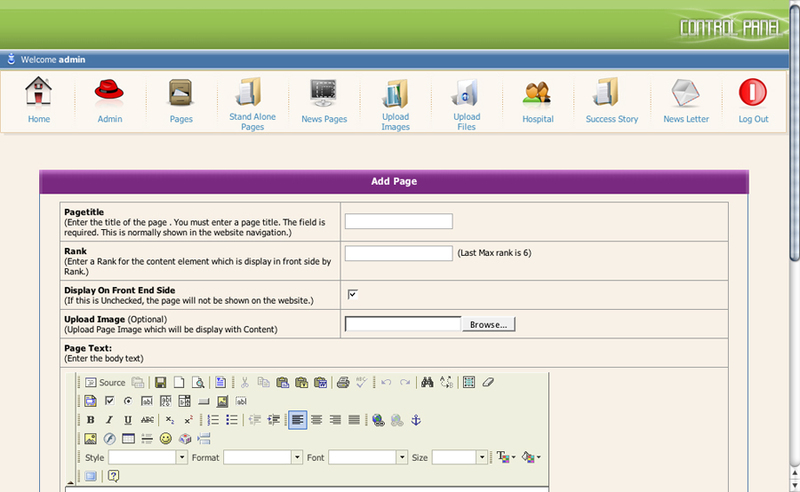 This includes options to insert your logo, select your own colors, upload pictures, insert phone number and location. This website will reflect the unique image of your program. All of this functionality is provided by BariMD at a fraction of the cost of those websites that are financially out of reach for most bariatric programs. Contact us today to learn how we can help drive your bariatric program's internet strategy!